Obesity Prevention Program - "Start Strong"
Check out before and after photos from our December 1st Playground Build! Injury Free Coalition for Kids of Seattle (Injury Free-Seattle) was created in November 2002, with a focus on reducing childhood injury in central and south Seattle neighborhoods. Data has shown that children living in these communities are at an increased risk of injury compared to children living in other areas of the city. Injury Free-Seattle is a partnership between Harborview Medical Center, the region's only level 1 pediatric trauma center, Seattle Children's Hospital, a regional leader in child health and advocacy, and Public Health Seattle & King County, which maintains injury surveillance data and is committed to building and supporting healthy communities. Our work to date has focused on communities in the Central Area and Southeast Seattle, two of the most ethnically and economically diverse regions in our city. We anticipate expanding our outreach citywide, while maintaining a focus on reaching low-income and immigrant families. Safe Walking - Child pedestrian safety and strategies to promote safely walking to school. Safe Riding - Bicycle safety and helmet promotion, distribution and education. Safe Swimming - Drowning prevention and water safety for diverse communities. 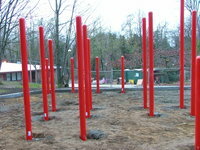 Safe Play - Promoting safe and accessible playgrounds and recreational facilities. Bike helmet promotion, sales or giveaway programs through schools and the Seattle Police Department. Water safety classes and life vest promotion targeting low income and immigrant youth. 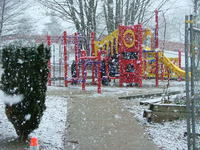 Playground safety assessments and community playground builds in areas of need. An injury prevention curriculum focused on safe physical activity and delivered to local schools by HMC trauma nurses. There are currently no events listed for Seattle.